Ethics, corporate social and environmental responsibility, sustainability, traceability… These words are being heard increasingly frequently in the jewelry world, at all steps in the supply chain, from gem mining and cutting to jewelry manufacturing. Barbara Wheat, executive vice president of the Natural Color Diamond Association (NCDIA), and an expert on sustainability management for the gem and jewelry industry, provides insight into this important and growing consciousness. Q: As a veteran of the gem and jewelry industry, was it a natural evolution for you to advocate for sustainability? Barbara Wheat: Over the years I have been fortunate enough to experience the gem and jewelry industry from many perspectives. I lived in Bangkok for 15 years where I was embedded in the heart of gemstone cutting and trading as well as jewelry manufacturing. I worked with the Thai Gem & Jewelry Traders Association and, following that, with the International Colored Gemstone Association in New York City. The experience of seeing the industry from source to end-product provided a unique understanding of the mine-to-market process. Visiting the mines in gem producing areas such as Madagascar, Kenya and Tanzania provided me with an even greater understanding of what mine-to-market entails. It was a combination of these experiences that inspired me to learn more about the process and how it affected all people up and down the supply chain. A couple of years ago, I decided to formalize my interest in sustainability and obtained a Master of Science degree in Sustainability Management from Columbia University. I gained a great deal of insight that I can now apply to the gem and jewelry industry. Q: The term traceability has been in the trade news a lot in regards to the colored gemstone supply chain, but to a somewhat lesser extent regarding diamonds… Why is that? BW: First, we must understand that mining diamonds and colored stones are, for the most part, two very different types of industry. Diamonds tend to be mined by large companies with modern machinery and sold as a commodity. Because of their infrastructure, large mining companies may find it easier to track their activities, thus providing traceability. On the other hand, the majority of colored gemstones—perhaps some 80 percent—are mined by artisanal miners using mostly hand tools. These gems are sold through an intricate web of individuals and small companies at the bottom of the supply chain. Thus, traceability is much harder for the colored stone industry. Having said that, however, it doesn’t always mean that some smaller miners are not in compliance with the ever-increasing demand for supply-chain traceability. They are just more challenged in being able to report their activities. Q: Since the gem industry is very fragmented, with 80 percent of gems coming from small-scale or artisanal operations, how is it possible to ensure that gems are traceable to accepted social and environmental standards? BW: The colored gemstone industry is viewed as being very vulnerable in terms of supply-chain management, but this should not be confused with the idea that they are the greatest concern to jewelers. It is true that small enterprises are more challenged in areas of reporting compliance, but it does not mean that they are not in compliance. Q: How do traceability and sustainability affect jewelry manufacturers and retailers on a day-to-day basis? BW: Jewelry manufacturers are generally closer to the source of the gemstone market, so most of the responsibility for procuring sustainable and traceable gems is placed on them. Retailers, however, are in a unique position to influence and/or pressure manufacturers to ensure more traceability and disclosure. 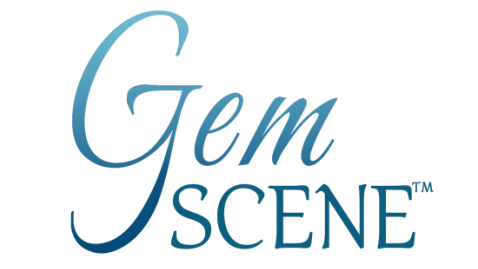 Q: What about the large gem producers, such as Gemfields and MUZO? BW: The large producers have a great advantage for positive change in terms of providing documentation for their entire supply chain. These methods may not be suitable for smaller operations, but we might all learn from their procedures if they are willing to share them with the industry—and perhaps provide guidance and training. By taking these actions, the larger producers would invariably enhance their sustainability record. Q: A retailer recently told me that some consumers are asking about Corporate Social Responsibility (CSR) primarily for bridal pieces, but in the end, price is generally the deciding factor. Do you see this attitude changing? BW: What I think needs changing is the idea that CSR must cost more money. Doing research for my Master’s degree at Columbia proved that CSR tied in with sustainability practices can actually save a company money. To address any specific concerns about the bridal market, retailers can take steps to train their staff on where their products come from. This can be as simple as sharing a story about using the same supplier for many years, visiting them in the producing country, or meeting through membership in an industry association. Q: Aside from the supply chain, how can retailers get the message across to their customers that they practice CSR? BW: I would suggest that retailers prepare a sustainability report on their companies and share it on their websites. There are many examples of these reports on the Internet, so they can find what kind of reporting applies to their operations. In-store activities that relate to these practices are perfect for PR material. Retailers have the added advantage of having the customer in front of them. Video, photos, brochures and displays can be used to highlight the retailer’s CSR activities. Community involvement is also an area where jewelers can make a difference. There are many volunteer agencies that would appreciate a company getting their entire staff involved in a community project. Whether it is planting trees or collecting food and winter coats for the needy, performing some kind of community service is an excellent way to give back to the community and show that they are socially responsible. ​Q: In addition to gem mining, there are concerns about “dirty gold” and “dirty silver.” Some jewelry manufacturers are stressing that they use only recycled gold and silver. At some point, however, the metals came out of the ground, so do you see this is as helpful? BW: I have been a member of Ethical Metalsmiths for several years and can attest to the importance of using recycled metals in jewelry. There is great concern about the environmental aspect and the health concerns surrounding processing precious metals. It is also important that all salespeople in the store be trained to explain the practice, because there is nothing worse than providing half-baked information at the retail level. A jeweler can include the percentage of recycled metals used in their jewelry in their yearly sustainability reporting. A large retailer may not be using all recycled metals, but if they can show an increase in the percentage every year, they can share this progress with the end consumer. Sustainability reporting is not about getting everything right immediately. Rather, it is about showing effort and progress year by year. Q: Lab-grown gems, especially diamonds, are in the news a lot these days. Their manufacturers insist that they are conflict-free and are socially responsible. What do you think about lab-grown in the context of CSR? BW: Lab-grown gemstones and diamonds are a very interesting topic in the jewelry industry. On one hand, we have the issue of how much the lab-grown stones are like the natural ones, and the market acceptance of them. The eye of the consumer might be more accepting than the eye of a trained professional, but most of us in the industry agree that there is definitely a place for both products at the retail level. On the other hand, the question of how sustainable a natural diamond is compared to a lab-grown diamond is a much more complex issue. Q: Why is it such a complex issue? BW: In the field of sustainability management, we study Cost Benefit Analysis (CBA). It is different than a traditional CBA because a sustainability CBA seeks to provide costs that are usually not accounted for in the traditional approach, such as social, environmental and health impacts. In the realm of business, most decisions are based on the bottom line, but if that bottom line does not include costs related to the environment and health of the people who work in the industry, the results fall short of providing a truly clear picture. Q: We sometimes hear the term “triple bottom line” in terms of sustainability. What does this mean? ​BW: The term “triple bottom line” refers to social and environmental (or ecological) as well as financial factors. In order to determine if lab-grown diamonds are indeed a more sustainable product compared to natural diamonds, an in-depth CBA needs to be carried out. It will reveal the true nature of a triple bottom line. Although this is a challenging effort, it is one that the lab-grown gemstone and diamond industry should embrace. Until this analysis is carried out, it is difficult to say which type of diamond is the more sustainable product. It is my hope that the natural and lab-grown diamond industries will decide to embrace such a study. It would benefit the entire industry by identifying both the strengths and the weaknesses that are on both sides of the diamond debate. It would also provide valuable feedback for improving the sustainability indicators for all parties involved.